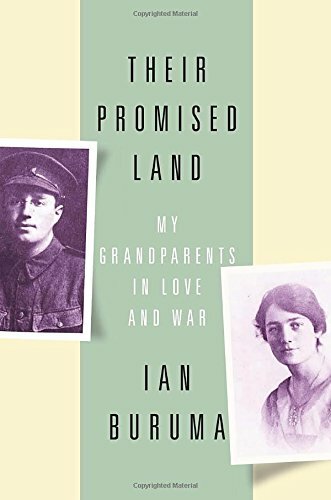 Prolific writer of history and sociology Ian Buruma has focused on a very personal history in this book: that of his grandparents, Win and Bun (Winifred and Bernard) Schlesinger. Their love affair started around the same time that WW I did (although at that point it was discouraged by both families because of their youth) and continued right up to Bernard’s death in 1984, and it’s an affair that was closely narrated by their letters. During their separations during both World Wars, they wrote every day and many of those letters were saved, providing a treasure trove for Buruma. Bun and Win’s parents were all prosperous- both their fathers were stock brokers- Jews who emigrated from Germany to England. They strove to fit into their adoptive country, celebrating Christmas and ignoring the anti-Semitism they ran into. When the First World War came, Win and Bun both desired to serve; Win became a nurse and Bun was a stretcher bearer on the fields, where he saw horrible things. Between the wars they married and started a family- which, during WW 2, increased suddenly by 12 Jewish children rescued from the Nazis.